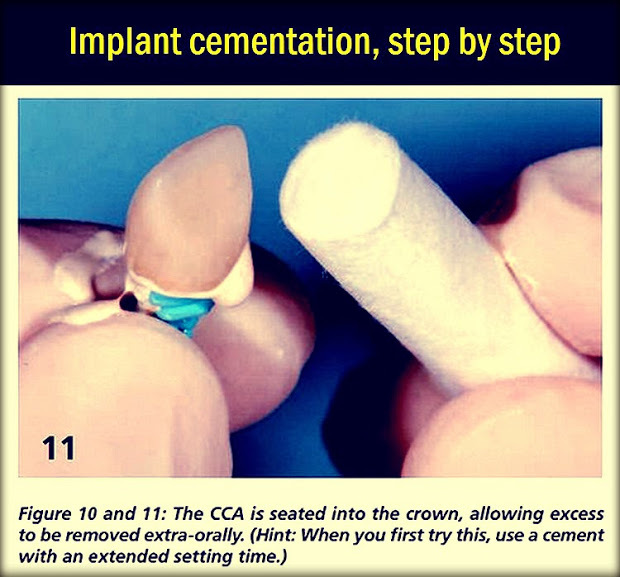 One cause of local tissue inflammation associated with dental implants that has recently come to light is dental cement. Cements have been directly linked with peri-implant diseases and have been blamed for bone loss and implant failure. One aspect of the disease process that is especially concerning is the time between restoring the implant and the disease process – on average three years pass before dentists discover a problem, with a range of four months to beyond nine years.